With all the talk about content creation, PPC campaigns, inbound marketing, link building and other forms of internet entrepreneurial action, many people have become confused at what constitutes search engine optimization, search engine marketing and other forms of internet engagement. When it comes to search engine optimization and search engine marketing, however, there are some clear differences that can easily be highlighted. For the new content creator or marketer who needs a crash course in the differences, we’ll outline below the main differences in each and what you can expect from engaging in each behaviour. Search engine optimization is a well-established trend of using content and technical elements to improve a site or blog’s performance with major search engines. This involves pinging URLs to search engines, building links, creating quality content with optimized keywords for search, and other tweaks that make your website more attractive to search engine algorithms. Search engine optimization is a gradual process that takes time to reap benefits from, which can make it very frustrating for many webmasters and bloggers. When done properly and consistently, however, it is the best way to attract new visitors to your site and in a way that costs virtually no money. When you can’t wait for results to trickle down through search, then search engine marketing may be a better solution. The primary aspect of search engine marketing revolves around paid marketing, which utilizes search engines and other popular venues through which webmasters, bloggers and businesses can advertise their sites, products or services. Whenever you search for something and see ads along one side of the page, up top and everywhere in between, that is the result of search engine marketing. Yes, you can work your way into the hearts and minds of customers and search engine users (but it will cost you)! Smaller companies and upstart websites will most likely not have the funds to invest heavily in search engine marketing, which can put it off-limits for many who may be reading this. You certainly can advertise in limited quantities, however. This broader strategy allows you to get a message out there instantaneously. Search engine optimization is free in almost all cases, which makes it ideal for those who don’t want to sink a ton of investment into a new project or hobby. On the other hand, it takes quite a while to build lasting effects with it, so you may become discouraged before your efforts produce results. 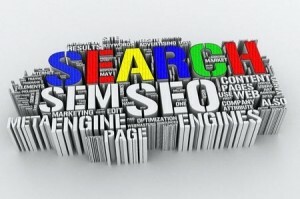 Search engine optimization and search engine marketing ideally will be used alongside one another in some capacity. Pinging URLs to search engines alone won’t be enough to boost traffic, nor will paying for advertisements. The key is finding which balance of the two works best for your endeavours, and to work with what is possible given your time constraints and budget allotments when first starting out. Now that you understand the differences between these two useful methods, you will be better equipped to start engineering online success!